Come to the nation's capital and join us again this year at the eMetrics Marketing Optimization Summit in Washington, D.C. from October 19-23. Ah, The Fall Classic. If you're stateside*, you may be aware that the baseball playoffs are in full swing. Full swing. Bear with us here. Are you familiar with the expression, "Right in your wheelhouse"? In baseball, a wheelhouse is a hitter's powerzone. 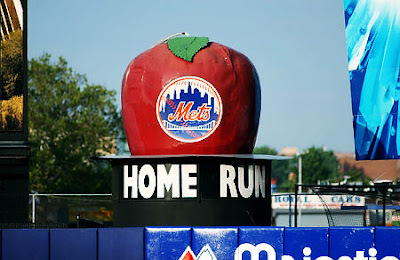 It's the part of a batter's swinging range in which they will make the best contact with the ball. It's the sweetspot. If a pitch is right in your wheelhouse it's basically that pitch that makes your eyes widen in anticipation. The ball is coming right where you want it, in the spot where you'll have the best chance of hitting it out of the park. Grip it and rip it. Some hitters like a pitch inside and low, some like it level center right over the plate. Each hitter has a wheelhouse, and a pitcher should figure out where that is and keep the ball away from it. Our buddy Justin Cutroni, lifelong Red Sox fan and web analytics practitioner extraordinaire, knows a thing or two about this. The term "wheelhouse" itself actually comes from even further back than baseball. 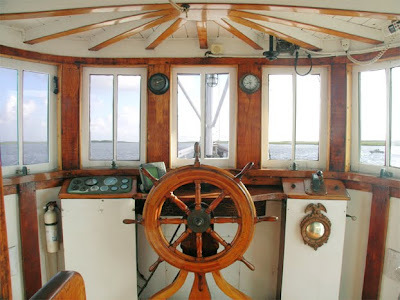 A wheelhouse on a ship is where the captain commands the ship, also known as the bridge. But, the phrase can also be used generally to refer to something that is in your area of expertise. For instance, "Analyzing website traffic is right in Justin Cutroni's wheelhouse." This is our usage. Here's another one: "The eMetrics conference is right in Google Analytics' wheelhouse." You probably saw that coming, but it's true. We love this conference because it brings together a bunch of analysts, marketers, vendors, thoughtleaders and general wild cards who are agitating over the methods and tools that help them focus their organizations towards the best data-driven practices. Wire to wire, it's a good week of learning, arguing, networking and information sharing. We'll be there, and hope you will too! This will be excellent and enriching. You'll be exposed to Google Analytics from soup to nuts in a small, hands on, high energy, classroom setting where you can get personal attention. You'll learn set up for your particular site, best practices, newest features and be exposed to other related products such as Google Website Optimizer. You need to register for this separately. Get acquainted with Google Website Optimizer and learn about a/b and multivariate testing on your site. "Conversion rate lift" will become part of your regular vocabulary. Website Optimizer Engineers from the team will cover advanced topics and techniques to help you take it to the next level. Some of our authorized consultants will be attending the conference and will intro themselves and tell you what they can do for you, from simple support or training, to helping you get the right implementation, to basic or advanced analysis, either on a project basis or ongoing. In addition to analytics and website testing, they do SEM, SEO, e-commerce, design, branding and more. Feel free to ask them questions to get details about engaging one of them. There are over 100 worldwide, so chances are there's one near you. The conference is less than two weeks away. We hope you register and we see you there! *If you're not stateside, think Cricket. Don't worry, we'll be talking World Cup next year.